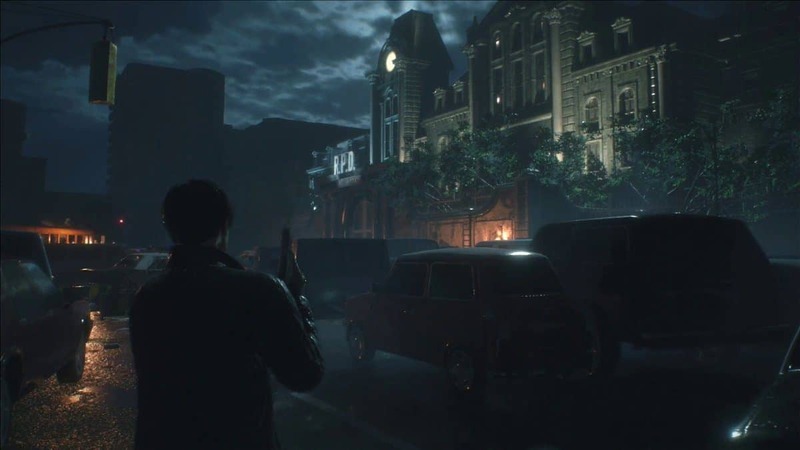 This Resident Evil 2 Remake Walkthrough guide will focus on Leon’s gameplay. Leon is one of the two playable characters in the game (excluding Sherry). He is also the only male protagonist in this game. This guide will try to translate Leon’s experience into a written form. If you wish to check the female protagonist: Claire’s gameplay walkthrough, feel free to check her guide on our Resident Evil 2 Walkthrough: Claire’s PoV. If you are having trouble in any spot of the game, feel free to come back here. We will try to make this guide as comprehensive as possible but will try to link useful stuff like extra ammo or collectibles or relics in this walkthrough. 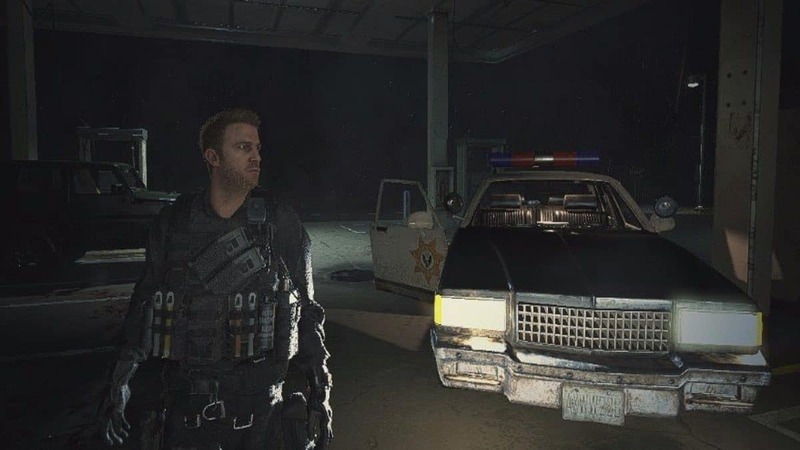 The opening cutscene basically shows Leon trying to fill gas in his car, but finding out that the gas in his car is not his only concern. As soon as you gain control of Leon, head into the gas station (it should be dubbed as either Mizoil Station or Mizoil Gas Station). As soon as you head inside, Leon will pick up a flashlight. Take a left as soon as you can, and follow this path to head to the back of the store. On your way to the back of the building, you will find a mortally injured Policeman. He will be pointing towards something behind the door that he is lying right next to. Head through the door and move towards in the right direction. You will be soon directed into a Hallway. Follow this hallway to the end, until you reach a door. Push the door to get into a room. You will find a zombie Policeman here. Shoot him until he falls. Follow your original path until you reach the end of a hall. Take a simple right here. A box can be found on the wall right next to the desk. Interact with it and you will receive a ‘Key’. Turn around and retrace your path back. However, the zombie Policeman should be back on his feet. Is he a zombie or something? Why doesn’t he fall?! You can either put a few more bullets inside his head or just skip the whole thing and run. Save a few bullets. As soon as you get outside the Gas Station, you will have a fateful encounter with Agent Claire, the second Protagonist of the story. After a long cutscene and the opening credits, you are now on Raccoon City’s streets. Your job is to find the Police Station. Of course, it is not going to be easy. There are quite a few dozen zombies in your path before that can happen. A Word to the Wise: Do not use your weapon until you absolutely have to. Or if you are using trainers/cheats. After a short traverse, you will see an explosion cutscene. As soon as the cutscene ends, run towards your right, into an alley on the left. Pass through the alley until you see a path to your left. Keep following this path until you get to the stairs. Run down the stairs, and then back up. You will see a station from the top of the stairs. Follow the cars you see in front of you until you reach a bus. From the bus, you will see a car rider. Follow him to your right and up until you reach the gate of the police station. Head inside. Chapter 2: Hello Officers! I Would Like to… Report a Crime? The police station is basically where the main game starts and you learn everything about the mechanics of the game. Additionally, most of the puzzles are in this area. 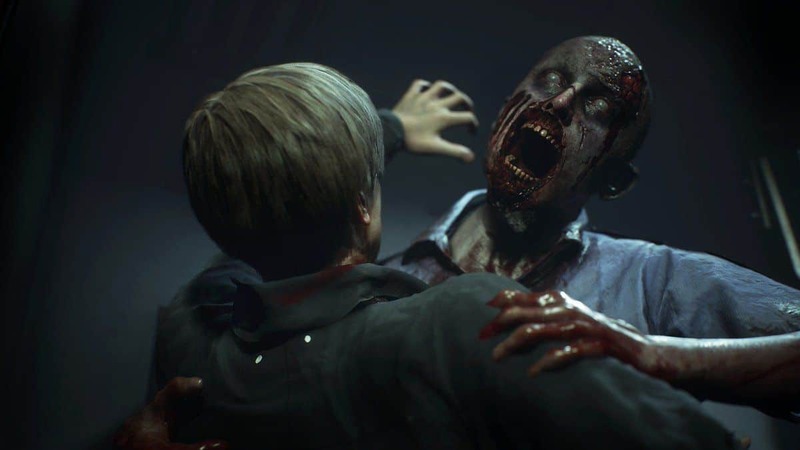 If you wish to check out puzzles, we have a complete guide on that in our Resident Evil 2 Puzzles Guide. As soon as you get inside the Police Station, explore the ‘Main Hall’ a little bit. You will find ammo and some collectibles. There will be an Item Box on the table, where you can store/retrieve items through multiple areas. Moreover, if you pre-ordered the game, this is where you will find the pre-order items. Be sure to store the Key you found from the Mizoil Gas Station. It is useless otherwise. You will find a First Aid Spray, Handgun ammo, a Typewriter, and a Raccoon City Police Department laptop here. Pick the FAS and Handgun ammo, and save your game through the Typewriter. The RPD laptop can be used to find information on where you might want to go next. Let us explore a barren Police Station. That should be a good idea. Head towards the door you see in front of the desk. Take a left as soon as you see the door and head towards the hallway that has shutters and a KEEP OUT sign. You will find the button to unlock the shutters to the left of you. Press the button and crawl through the barely-opened shutters. Keep walking forward until you reach the end of the hall. Take a right through here and you will come across a cabinet that is blocking your way ahead. Take a left here and sprint past the doors. Look for the red light on the wall. Interact with it to turn on the lights. You will find a body on the floor. Search it to find some Handgun ammo. Retrace your steps until you reach the hallway again. This time, shove the cabinet out of the way. Take the first hall to your left. It should be reaching towards the bathrooms. Through here, head into the women’s restroom. You can find some First Aid Spray in the middle stall of the restroom. Grab it and retrace your steps to the hallway again. Take a left and then follow the hall to the right. After that, keep taking a left until you reach the Watchman’s Room. Open the shutters and you will find the Officer lying around. Inanimated. Take the key item ‘Officer’s Notebook’ from the Officer’s corpse. Now as soon as you try to head back, a zombie will jump you. Put a few bullets in its brain and head to the Main Hall. Take the shortest path you can find, while trying to avoid any zombies you can. While you are in the Hall Room, you will find that a new room has opened up here. Head inside here and you will find some Handgun Ammo inside. Head back outside and return to the Main Hall, until you see a Goddess Statue. You will now need to solve a big Goddess Statue Puzzle. After successfully placing all three medallions, a secret path will open next to the Goddess Statue. Take it to head down the stairs, and into a Secret Room. You will find Shotgun Shells, Gunpowder, an Item Box and a Typewriter here. Save your game through the Typewriter, store extra stuff inside the Item Box and head through the only path you can see into an elevator. Follow the path down to reach the Machinery Room. You will be greeted with the first Boss here. The G Tyrant Boss is the first Boss in Resident Evil 2. He is a slow moving Zombie, with slow to moderate Attack Speed. The best tactic to defeat this Tyrant monster would be to gain some distance between you and the monster and hit him from far. His weak points are the human face and the frequently appearing yellow-colored eye. When the monster gets too close, try to run away from beside him. His turn rate is quite slow. You will find a Hand Grenade, Green Herbs x3, Handgun Ammo x3 and a Red Herb in the rooms while you are in a boss fight. Pick them up and use them wisely. After successfully defeating your first boss, Leon must now get out of the Police Station and investigate the rest of the city to find Ada. After defeating the Boss, someone will drop down ladders for you. Climb up those ladders and you will find yourself in the Parking Garage. Sprint to the north side of the room and the gate that should be blocking the exit. There should be a scanner beside the gate. Interact with it. Follow this mysterious character. You will find a Police Station B1 Map and some Handgun ammo on the way too. Get out of the new room you are in and head towards the jail cells. At the end of the hall you are moving through to get to the jail cells, a small cutscene will trigger showing the Parking Garage Key Card. On the table should be a Tool and a memo Memo: Jail Power Panel. Head back to the Parking Garage and move through the green-lit door on the eastern wall. Head straight down and you will find the Firing Range. There should a Box and an Equipment Disposal Notice on the table. Pick ‘em up. Examine the Box in your inventory and you will find a Car Key. Again, head back into the Parking Garage. Open up your inventory and examine the Car Key. You will find a button to unlock the key’s car’s trunk. Find the car. You will find a Gun Stock inside the trunk of the car. Pick it up. Now you can shoot your pistol in Burst Fire mode. Go back through the northeast door. Take a right and follow the hall until you reach a door that you can duck through. You are now in the Kennel. You will find a High-Grade Gunpowder lying on the floor. Pick it up. There are dogs here. Carefully move into the other room, Morgue. You will find an Autopsy Record No. 53477 here. Additionally, you will find a Diamond Key in the second drawer on the left corner of the room. It should be inside the corpse’s hand. Exit the Morgue and take a turn to the right. You will see a closed shutter in the corner. Head towards it. Use your previously acquired Tool (Key Item) to try to pry open the shutters. You will end up in the Generator Room if you take the first room to the right. You will find Green Herb, Gunpowder lying here. A Boxed Electronic Part should be nearby too. Pick it up, and examine it in your inventory. It will extract into an Electronic Part. Keep this. It is important. You will find a yellow-painted panel that will help to turn the power back on, right in the left corner of the room. Toggle the third and fourth switches to turn the power back on. Head back into the Firing Room. While exiting the Firing Room, take two lefts and into a new room, you can see now. Follow the hall and take the stairs up. You will now enter a Break Room. A Typewriter and Item Box can be found here. Additionally, you can find Blue Herb, High-Grade Gunpowder, Handgun ammo, MAG ammo, and an Electrical Part here. The basic goal of this chapter will be to find the two Electronic Parts so we can get out of this mess hole of a city. Of course, we will find some uninvited guests here too. Head out the Break Room through the other entrance you can find and loop to the left. Follow the hall to the main room of the Police Station. A bit in the hall and you will find yourself on the other side of the room you originally Officer Elliot in. Protect Eliott and then place the Electrical Part that you found in the Break Room on the panel to open the shutter and converse with the Officer. Sadly, the Officer is dead. Or should I say, he has converted to the religion of Zombies: braindedism? After dealing with your mentor/senior/friend, get back to the Main Hall. Head up the stairs and into the Waiting Room. Follow the hall and you will find a shutter. Use Tool to crank it open. Head up the stairs and through the door on the left. You will end up onto the Balcony. Drop the ladder on the east side and try to climb down. Turn left and climb down the stairs. Keep moving forward until you reach a door where two zombies are coming out of. The door leads to the Boiler Room, your next destination. Turn on the left, before entering the Boiler Room and activate the Switch. Head into the Boiler Room and you will find a door to the right. Save your game here through the Typewriter. You will also find a Club Key on the whiteboard here. Interact with it to obtain it. Head back into the area where you fell through when you were using the ladders. Use the lever next to where you landed once to pump some water and put out the fire. Move through the doorway and follow the hallway to the remains of the helicopter. You will meet an unstoppable zombie here, Tyrant. He will move the helicopter remains out of your way and try to approach you. Get some bullets into his brain, until he drops on his knees. Use this opportunity to slip past the Tyrant and into the hall. After you have successfully run away from him, return to your original location, and try to move into the hall where the Tyrant originally came from. From this hall, head into the Waiting Room and follow the stairs down near the Cheif’s Office to end behind a locked door. This door leads to the Club Room. Use the Club Key that you found back in the Boiler Room to unlock the door. Read the Confiscation Report and you’ll find the key-code to the safe that you must have seen in the Waiting Room. You will also find a Jewelry Box in the room. Pick it up. Interact with the Jewelry Box and combine it with the Red Jewel you found a while back, to open it. You will find a STARS Badge. Interact with the badge again and you will find a USB Dongle Key in the back of it. Head back into the Waiting Room and climb up to the second floor. You will receive a Muzzle Break (Matilda). It is stock for your handgun and will help you reduce the gun’s recoil. Head to the Reception on the first floor. It should be on the southwest side of the building. Be sure to avoid any contact with Tyrant. You cannot defeat him. Head to the Records Room. The door to it, however, should be locked. You can use your Club Key to open this door too. You will find some Gunpowder, a Hand Grenade and a Tool here. Pick ‘em up and head back to the hallway. Turn right and you will end up in the Operations Room. Through here, you will find the entrance to the Darkroom. In one corner of the Darkroom, there will be a sink. Use the sink to expose the Third Floor (3F) Locker. It should be directly above you. Use the Roll Film that you found earlier and find the combination. Head up and enter the combination on the locker. You will find some MAG ammo. Take the stairs to the second floor, through the Shower Room, into the STARS office. Plug the USB Dongle Key that you found from the STAR Badge into the computer here. It will reveal controls for the door to the Armory. Open it up. You will find a Lightning Hawk weapon inside. Lightning Hawk is a very powerful handgun, and it can be a good weapon to use against powerful zombies. Pick it up. You will also find a letter from Chris Redfield. Yeh. That Chris. Exit the office and take a steep left. Follow this path until you reach a locked door. Use the Diamond Key to open the door. It should take you to the Linen Room. You will find a Portable Safe and some Gunpowder here. Interact with the portable safe and solve the puzzle. You will find a Spare Key. You can use this key in the Safety Deposit Room. From the Linen Room, go back and take a left outside the door. You will end up in the Library. From the Library, head to the Main Hall and go downstairs. You will find yourself in the Safety Deposit Room. It should be a part of the West Office. Place the Spare Key on the keypad. You can try several combinations here. Head back into the Library again. We must disturb the books, while we can. Make your way to the rolling shelves and use the Tool (Mechanic Jack Handle) to remove the jack. Because that is what a jack does. Move forward until you reach the ladder. Climb the ladder and cross over the tops. You will find yourself on a balcony. Follow this path until you find a locked door the East Storage Room. Unlock it and head inside. You will find a Large Gear in here. Oh and some Blue Herb and Shotgun Shells. Pick them all up. Once you have everything you want, head back. Run around the central shaft and head into the Clock Tower. Find some stairs to end up on the second floor and loop around the area here until you find a Small Gear. Place the Large Gear on the machine on the second floor. Take the Small Gear down the lower end of the stairs and mount it in the contraption here. The contraptions should start working by now. The movement of the contraptions will knock over a box. Open it up and you will find the second Electronic Part. Head back into the Break Room. You must now try to get out of the Police Station. Of course, it will not be easy, but we are in our final stages of escaping this hell station. Head to the Parking Garage and cross over the door to reach the Jail. Place both Electronic Parts in the wall panel and solve the puzzle. You will find Ben’s Memo, First Aid Spray, Interview Transcript and a Parking Garage Key Card inside the room. Exit the jail. Be careful on the way back and try to preserve as much ammo as you can. Head back to the Parking Garage and a cutscene will be triggered. After the cutscene, use the Parking Garage Key Card to get out. Head out the Parking Garage and follow Ada. You are finally out on the streets of Raccoon City. Follow Ada until you reach a Gun Shop. You will find some useful stuff here. There should be a Hand Grenade, some Handgun Ammo and a Long Barrel for your shotgun. It will help you shoot further and more accurately. Afterward, follow Ada to the sewers. Your job here is to find Annette. Ada will stay behind you so it is time for you to take the lead. Take the first right and then a left and follow the path open to you. You will end up in the Safe Room where you can use the Typewriter. Save your game. Head through the gate on your right and drop out of the Safe Room into the next sewer. Take a right turn and follow your path. You will find some Handgun Ammo here. Pick it up, head down the stairs. Keep following the path until you drop down into the sewer drain. Yeh. Runaway. This Alligator is just too strong. Keep swimming away until you reach the far end of the sewers. You will find a Hand Grenade here. Nade the boi out of its misery. See You Later, Alligator. Ada will drop a ladder for you at this convenient time. Climb it up and follow her until you reach an elevator. You will eventually reach a room with a Typewriter and an Item Box. We suggest that you save your game. Head through the door to trigger a cutscene. You will now take control of Ada. Walk towards the ladder, draw your EMF Visualizer and aim to the right of the ladder. Hack the panel. Aim towards the fan above you, you will find a motor here. Hack it to destroy it. A path will now open up. Climb up the ladder to reach this new path. Follow the duct (the new path) to the end and keep moving until you see a fan motor that can be hacked. Hack it to open a way for you. Drop down and grab the Sept. Inspection (Week 1) note. Aim your EMF Visualizer at the door and hack the switch. The door will open. You will be led into a new big room. Let us call it the Analytical Room (Hats off to you, lady Lovelace). Head straight and follow the path. You can use the EMF Visualizer for easy path-finding. You will eventually enter the elevator. Take the lift and follow this path until you reach the room to your left. The Tyrant will show up here. Put a few bullets in his head and run away. Use the EMF Visualizer to trace the wires and hack the switch to the right of you. Once the switch is powered, throw it and go through the door. Grab the ammo, turn around and follow the power. Flip it to power the fan; overload the motor afterward. Follow this path and you will reach the Incinerator room (or just Incinerator for short). You will find a Typewriter here. Save your game. Head up the stairs and read the Sept. Inspection (Week 2) memo. Pull the lever on the panel to open the door to the Incinerator. Head into the Incinerator itself and grab an ID Wristband to the back of it. You will be trapped inside the Incinerator. Time is short so pull out your EMF Visualizer and look to the right to find a power panel. Follow the power conduit and use the switches to direct power to one of the three panels and ultimately solving this puzzle. Power the ID Wristband door and move through it. You will end up in a bigger room. Just move across the room until a cutscene is triggered. You will now gain control of the recently-injured Leon. Follow the path open to you until you reach a lift. Take it to go up to the second floor. You will eventually end up in a room with the Typewriter and the Item Box. Save your game. Drop down into the water just beyond the stairs. There will not be any Zombie-gators here. Hopefully. Follow the path and you will find some stairs. Climb up the stairs and you will find a USS Digital Video Cassette on the second corpse on the stairs. Pick the cassette up and handle the zombie here. Run past the Treatment Facility door. Cross the bridge next to an electric panel, which will conveniently have an Electronic Part. Do not grab it just yet. Cross the bridge and follow the path until you reach downstairs. Grab the Combat Knife you find here and then drop into the Lower Waterway. Stay on your path until you reach a crossing. Take the path to your right. You will run into a G-Adult zombie. Its weakness is the same as the first Boss, the G-Tyrant. Aim for the yellow eye. After defeating the zombie, continue along the sewer until you see a clearing where you can finally climb out of the waterway. Take it, but beware of the second G-Adult here. Head up the stairs until you reach the Cable Car Platform. From the Cable Car Platform, take the stairs and climb up to the Control Room. You will find some ammo for your shotgun here. Additionally, there will be a key item here. Pick up the Emails copy. Drop down the hole after picking this copy. You will land in a new room. A short cutscene will play here. After the cutscene, grab everything you can find. You will also find a VCR here. Insert the Video Cassette you found way back, and watch the video. Interact with the Typewriter in the room afterward, and save your game. Head into the southwest corner of the room and you will find the Chess Electronic Parts Puzzle. Exit the big room through the east door. You will end up in the Treatment Pool Room. Turn the switch on and cross the lowering bridge. You will find a Shotgun Stock inside this safe. Equip it on your shotgun and it will increase your reload speed. Turn around and follow the path down the stairs. You will find some zombies at the end of the stairs. Shoot ‘em up using your newly upgraded Shotgun. Use the switch to open the gate. Drop into the water afterward. Make your way into the Lower Waterway. Again. Climb onto the landing you will eventually see, on your right. Use the T-Bar Handle to open the gate and find some Shotgun ammo. Afterward, take the lift up to the Workroom. You will find some neat stuff here. Grab ‘em and exit the room. Make your way to the Upper Waterway. When you touch water, turn left. There will be a few zombies in the water with you. Run west until you see the end. Use the T-Bar Handle to get out of the area. At the bottom of the stairs, you will find a Treatment Facility Key. Pick the Key up and loop around to the right. Use the T-Bar Handle and open the gate to the other side. You will find the Lower Waterway, up to that weird Y-shaped room. Cross back to the side where you originally found the Treatment Facility Key. Climb down the ladder to the Bottom Waterway. Take a left when you see water and enter the smelly sewers. Crawl out the landing to your left and drop down the other side of the landing. Keep moving ahead until you end up behind a landing. Climb through that landing, turn right and move through the door. Climb the stairs and you will find the Supplies Storage Room again. You will find the Chemical Flamethrower here. Head to the Bottom Waterway afterward. Beware though. There are many G-Adult zombies here. Try to slip past them and then follow the path, into the Treatment Facility. Use the Key you found way back and head into the room. Try to move the cabin to the left side. A path will be revealed. You will find a Raccoon City Jazz Festival pamphlet. You will also find some ammo and other stuff in here. Head out of the Treatment room and take a right now. Follow this path. You will find another Treatment room. Go in, do the same thing you did in the first Treatment room. Skip this area for now. Make your way out of the Treatment room and take a right. You will find an Electronic Part on the board here. Pick it up. Now head back into the second Treatment room and on the path, you did not originally take. It turns out to be an elevator. Take the elevator and follow this path up the stairs until you reach more stairs. Take all these stairs until you reach the Secret Room with the Typewriter and Item Box. Save your game. You will see a red-colored pipe here. Remember how you picked up the T-shaped Tool a little while back? Use that here. A path will finally open up. Switch #01, Switch #02, and Switch #04. As soon as you try to head back, your path will be blocked by a monster’s attack. This is ‘G’. Move in the room a little bit and the monster will eventually break open a path for you. Run through that opening and follow this path until you reach a dead end, with only a generator in front of you. Turn on the generator and slip past the monster (who should be following you right now) towards the crane controls. Interact with the crane controls to turn on the crane. Stun the monster in front of the crane controls and you will see that the crane damages the monster a lot. Repeat this 2-3 times and eventually, the monster will fall off. Follow this path and you will eventually find Ada. A short cutscene will play. Follow Ada. You will eventually reach a small train. This train will take you to NEST. A small cutscene will now play. Oh my, what a lovely cutscene. Ada will give Leon the ID Wristband she found way back when you were playing as her. There should be an Item Box. You are on your own from now on too. Follow the path until you reach a console that says “Visitor 1”. Interact with it and the doors will open. Head into the lab and in your first room, you will find a Typewriter. Save your game here. Now head for the small door that leads to the Cafeteria and the Kitchen. First, enter the Cafeteria, and take out the zombies you will find fuel for your flamethrower and a hand grenade. Additionally, there should be ladders here. Take the ladders and follow this path. A zombie will eventually assault you. Shoot the crap out of the zombie and head into the room to the right. You will find an Electronic Part and a Regulator (Flamethrower) here. Regulator allows your Flamethrower to burn stuff for longer. Neat. You will also find some ammo here. Combine the Electronic Part with your ID Wristband and you will be able to unlock the blue doors now too. Head back and unlock the first blue door. Keep following this path and you will finally reach the Reception again. Examine the dead body near the bridge. Your next objective will be the West Area. Follow the path until you reach the safer side of the green room. You will find a masked man with a purple Electronic Part. It is the clearance for Purple rooms. You cannot pick it up yet. Follow the path and you will enter the full greenroom area. This is the Greenhouse Lab Puzzle. After putting the Frozen Dispersal Cartridge inside the machine, the masked man will drop the purple Electronic Part. Pick it up, and combine it with your ID Wristband. Enter the next new room and you will find an Item Box and a Typewriter here. Save your game. Trace your steps back to the place where you originally found the dead body and start the West Area objective. From the circular intersection, move left and you will see a console to use your new ID Wristband on. Follow the new path and solve the next dialing puzzle you see here. You should see a VCR here too. Put in the video cassette and you will see a new recording. After the short video, head into the next area. Follow this path. You will reach a room where you will see a zombie specimen. There should the G-Sample here. Pick it up. Good thing is that is what you need. The bad thing is lock-down has been initiated. Yep. You are dead meat. Save your game here with the Typewriter. It should be in this room. Prepare for the final battle. You will meet the monster ‘G’ again. A short cutscene will play where the woman will shoot G down, presumably killing him. Too bad, he is not dead. 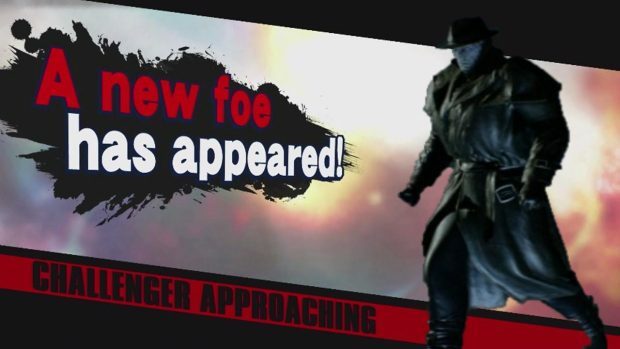 He is the final boss of this game, after all. 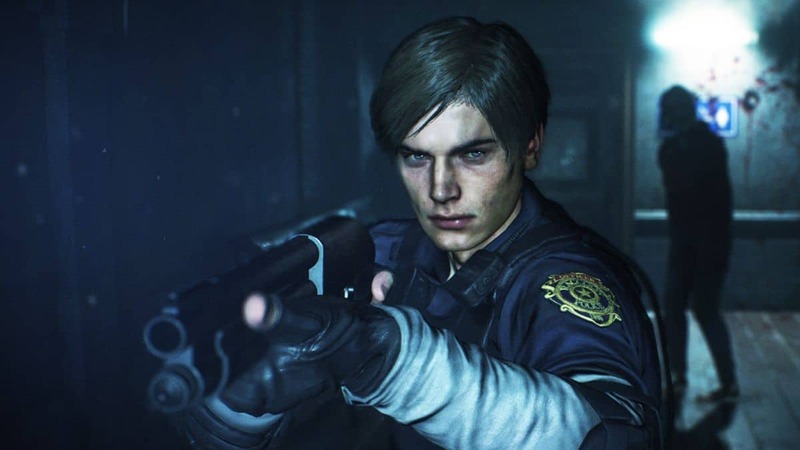 G (Stage 3) is the final Boss in Resident Evil 2 Remake Leon gameplay. He is a slow moving Zombie, but with very fast Attack speed. The best tactic to defeat this Tyrant monster would be to gain some distance between you and the monster and hit him from far. His weak points are the frequently appearing multiple yellow-colored eyes. When the monster gets too close, try to run away from beside him. It should not be very hard to defeat this Boss. A Shotgun might be useless here so use an accurate weapon like a pistol or something. After defeating the Boss, a cutscene will play and you will have to say your goodbye to Ada. Get in the lift and head down. After another cutscene, save your game with the Typewriter you see and follow the path. You are on countdown here. On one of the stairs, the Tyrant will catch you but the fire will immediately stun the monster. Head into the open room you can find. You will find Joint Plug here. Pick it up and use it on the next console. And a new cutscene will trigger. You will now have to fight the enraged, surprisingly well-built, shirtless Tyrant. Keep running away from him until the left reaches a destination. Mid-way, you will receive an ultimate weapon ‘Anti-tank Rocket’. Aim at Tyrant and blast the crap out of him. That is it, folks! We are done. The gameplay is done, gentlemen. It was a fine journey. Thank you for staying with us.